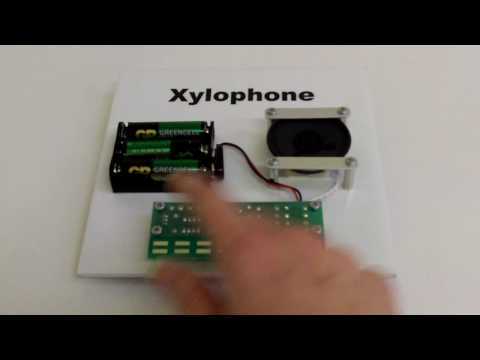 The xylophone has eight notes, which are sounded by placing a finger onto the PCB, allowing a simple tune to be played. The student can mount the PCB, battery pack and speaker into a box they have designed to make a children's toy. PCB dimensions: 93mm x 37.5mm.